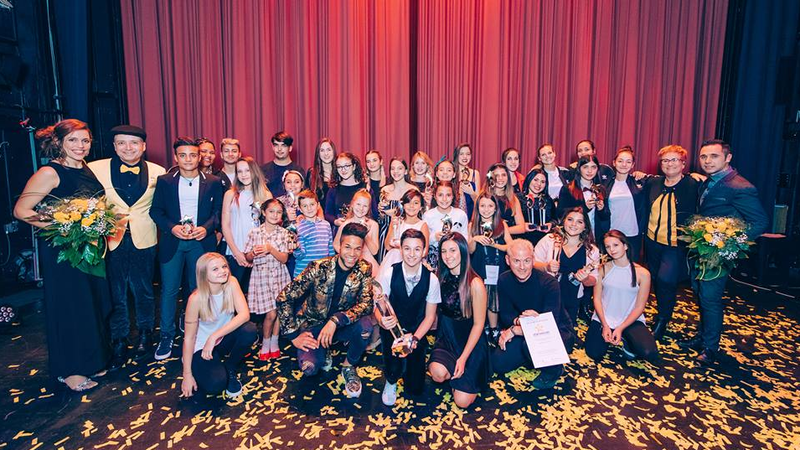 Grigol Kipshidze, Georgia’s 2017 Junior Eurovision representative, has won the Star’s Voices Grand Prix 2017. Competing in the competition were children from around the world including Argentina, Armenia, Bulgaria, Georgia, Italy, Malta, Poland, Portugal and Switzerland. In this Instagram post, Grigol also teased that his song for the Junior Eurovision Song Contest will be revealed soon. Twelve year old Grigol Kipshidze was born in Georgian capital Tbilisi in August 2005. From 2011 to 2015, Grigol studied at the National Centre for Folklore, and in 2014 he was accepted at the city’s Vocal Academy. In his singing career, Grigol has participated in many musical competitions, the biggest so far being The X-Factor Georgia, in which he made it to the final. Georgia have won the contest on three occasions, making them the country with the most victories throughout the history of the contest. Georgia debuted in JESC in 2007 with Mariam Romelashvili and her song “Odelia Ranuni”, where she placed 4th with 116 points. Their first win was just a year later in 2008, with the trio Bzikebi and their song “Bzz”. Their second win was in 2011 with the group Candy and their song “Candy Music”. Most recently in 2016 eleven year old Mariam Mamadashvili performed her song Mzeo in JESC 2016 host city Malta, and took the victory with 239 points.